One very old church + a London nursery rhyme about bells, fruit and debt collecting + some yarn + a handful of beady eyes + a hoard of crafty treasure bits + my brains = The Flying Fruits of Justice. 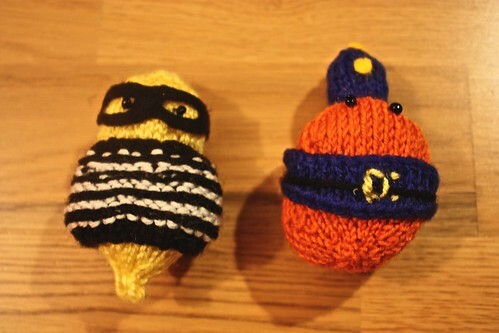 Knit the City took on the Oranges and Lemons Odyssey with a six-pronged attack. Six London Churches from an old nursery rhyme. Six graffiti knitters. One full day of yarnstorming fun. A soaring four-pointed church on the corner of Holborn Viaduct and Giltspur Street, St Sepulchre has been strutting its sacred stuff since 1450. It suffered a bit of scorching in the Great Fire of 1666 but has generally stood up to a whole lot of London history ever since. The Lord above have mercy on your souls. Throw them all together and I formed an unlikely crew. The Flying Fruits of Justice we ready to take to the air. Stand back. The citrus criminals and their chasers took the air in the shadow of St Sepulchre. They bobbed quietly in the London wind and reminded passing Londoners of a little bit of history. Very sweet. And a good joke at the end to round it all off. How do you know they were sweet?! Thank you. Impossible cuteness is very hard to leave behind. That was GENIUS! 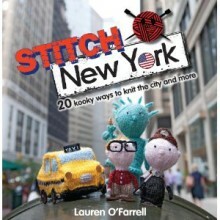 I need to get up to knitting wee fellas so I can yarnstorm my home city! 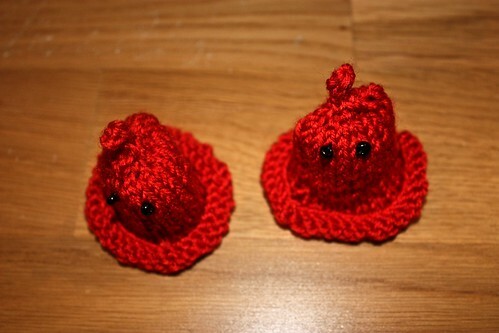 I love the bells, they are adorable. Keep up the stitching, it’s amazing!